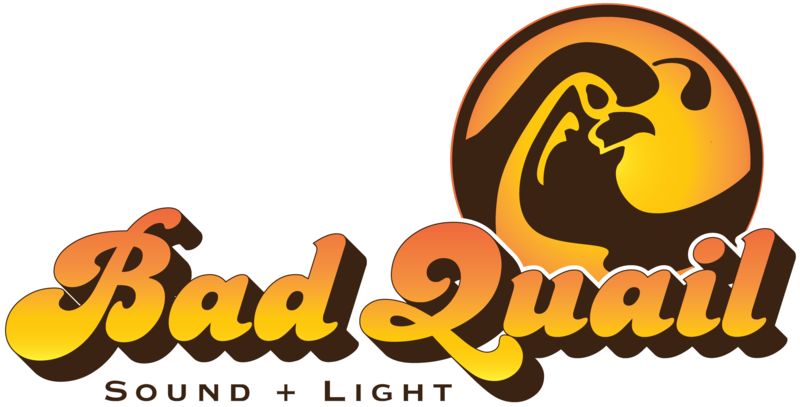 Bad Quail can design and deliver a rental sound system for your next event. We deliver, load in and set up equipment at your event and provide training so that you are comfortable operating our gear. You can run your own sound, or we can provide an experienced audio engineer to mix your band and bring the show to life. With Bad Quail, there are no hourly rentals, and no driving around trying to drop off gear after your event. When your event is complete, we strike the equipment and load out. Bad Quail offers cross-rentals to other qualified providers in the area, and we are happy to work with you to get you the gear you need on both short and long-term rentals.